It's unfortunate that Kahn's eponymous EP was released the same week as both James Blake's Overgrown and SP:MC's Declassified EP. Because everyone has been raving about the intricacy and soulfulness of Blake's sophomore full-length and, if I may quote Sputnikmusic user Jash, the "skank" of SP:MC's first full EP, Kahn has come out with a whimper instead of a well-deserved bang. While it's true this doesn't come close to the beauty that is Overgrown, saying this is bad is like saying Burial's self-titled LP wasn't good because it wasn't Untrue or Kindred. After all, Kahn's first full EP is a highly respectable - and at times excellent - slice of dubstep and garage. Though many are sure to scoff at the relatively short runtime and seemingly lifeless raps present, the EP pays homage to the classic dub-influenced sound of the past while taking noticeable steps out of his comfort zone within the span of only a few minutes. In terms of those leaps and bounds, it's interesting to see the journey Kahn has taken since his last single on Deep Medi. While Dread/Late Night Rider was strictly by-the-book, with huge, booming basslines and not much else save for the occasional call of "Easy, Kahn," Kahn delves deep into oft-untrodden territory in the world of bass music. For starters, instead of the vibrant raps over 140 BPM tempos which are typical of the standard dank dubstep Kahn normally dabbles in, "Snake Eyes" works in a totally different way, with a rap which is slow and almost completely devoid of life and a sluggish half-time tempo not usually seen in this brand of music. However, Kahn's famed brand of "pop-garage" strikes gold here, with a clicking hi-hat that worms its way into the listener's head much the same way as Jabu's rap grabs attention and doesn't let go. It's ominous and grit-gray in its delivery, from the looming chords to the small bouts of static present throughout the piece, and it ends up being quite excellent - if a little difficult to listen to - eventually. That's not to say the entire EP is an ordeal, though. 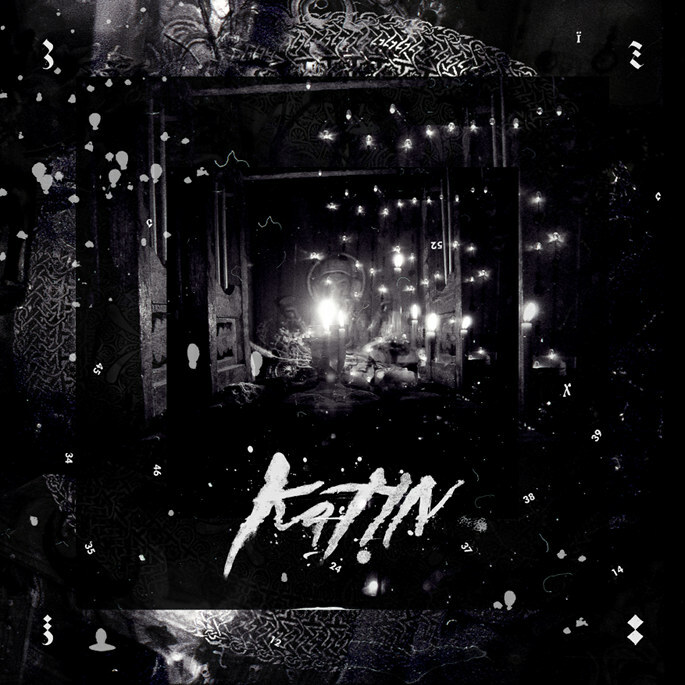 Kahn's become famous for his standard, DMZ-influenced dubstep, and "Badman City" shows he still has that connection. The bass is huge, the synths are twisted, and overall it seems to be a tune made for festival subwoofers, an image reinforced by every "rrrah" from Flowdan. However fun "Badman City" may be, though, it's the "pop-garage" where we see Kahn in his prime, especially the one-two punch of the surprisingly short closing tracks. "Cover Me" and "No More" see Kahn trying to emulate a scene long since faded, and though the songs are just a tad formulaic they work out fine. Whether its the sultry, repeated "cover me" languishing over dreamy synths or plodding male vocals slumping over an almost military-like distorted beat, the final two songs here are tasty little snippets of what Kahn can do with garage. Sure, he's no Burial, but for such a young producer he's made quite handy work of what is normally a daunting task. Whether or not Kahn gets due respect for his work here due to a certain surplus in this week's release department is almost superfluous at this point, because it almost seems as if Kahn doesn't need publicity. Anyone familiar with the name will be getting what they're expecting, anyone seriously into this kind of dubstep will find things to like, and anyone else would probably have trouble appreciating the gray, driving repetition Kahn puts us through here. That's not to say it's a good idea to keep something good a secret, but rather it seems appropriate that pretty much anyone who happens upon this EP will enjoy it, and for anyone who doesn't end up finding it among the gems of this week - it's too bad you didn't see this excellent piece of work, and if or when you eventually find it you'll have ample time to enjoy it. After all, music of this caliber can wait - rapid gorging isn't a particularly good idea here, and whenever people have time for Kahn is the right time for them to listen.